This year’s Croydon Black History Month is celebrating women in leadership, with a busy programme of events and activities. It will have a particular focus on women from black and minority ethnic communities (BME) that have made a historical impact while also profiling women who are making history today. 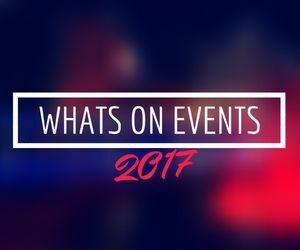 The month-long series of events taking place across the borough over the next few weeks includes poetry and story reading, music, dance, theatre and film. Black History Month will be launched from 6pm to 8pm on Tuesday, 6 October in the Community Space at Bernard Weatherill House. Guest speaker is the Apprentice’s Bianca Miller. • Celebrating black businesses and culture in Croydon from 11am to 7pm at Fairfield Halls on Saturday, 24 October. • Author Lorna Liverpool discussing her A Dance to Remember novel at a workshop at Shirley Library from 3pm to 4pm on Saturday, 24 October. • Storytelling from Rastamouse author Michael De Souza from 2.30pm to 3.30pm at Purley Library on Friday, 30 October. • Black History Lecture – Black Women in the Origin & Evolution of Music at 6.45pm at Croydon Supplementary Education Project on Wednesday, 4 November. For further details and a programme of all events taking place visit www.croydon.gov.uk/ccbh or pick up a copy from Croydon Central Library. Councillor Mark Watson, cabinet member for communities, safety and justice, said: “In Croydon we lead the way when it comes to celebrating the diversity of communities in our borough, and Black History Month is no different. “This year’s theme is women in leadership, and it’s fantastic that we are recognising the inspirational achievements of BME women both past and present.